There is nothing more soul crushing and defeating than finding out all of the work you’ve been putting towards your exercise routine has resulted in weight gain. Believe it or not this is a common problem even among those of us who regularly exercise and go to the gym. The main reason why this can happen to someone is because while they think they are sticking to a healthy diet, it is in fact detrimental. This may not even be your wrongdoing, as many of the foods we eat contain ingredients unbeknownst to us. When we dine out at a restaurant, at a friend’s house, or with family, the truth is that’s we don’t know for certain what is going into our foods. Many of these foods can negatively impact our ability to properly process our foods, which is rooted within our metabolism. Our metabolism has such a tremendous impact on all aspects of our health, so it is important that we are avoiding as many foods as we can which disrupt the way in which we process our food Here are the types of foods which can be the most detrimental to our metabolism. Many of our diets revolve highly around grains, hence why they are number one on our list. 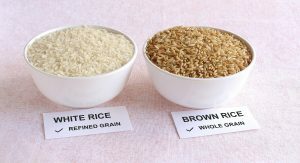 The problem with many refining grains revolves around the fact that they are extremely rich in calories, while being devoid of virtually all other nutrition. Your typical whole grain all have the same amount of carbohydrates as these foods, however it, along with plenty of fiber and other nutrients which help balance out the equation. In the case of refined grains, their outer husk is removed, the portion of the grain which contains all the fiber. This means that the body can almost immediately digest and synthesize the sugars found within these refined grains, which is then immediately deposited in our bloodstream. Dumping in excess of sugar into the bloodstream time and time again reduces the effectiveness of insulin in the blood, which can make as prone to developing type II diabetes as well as becoming overweight or obese. Another negative aspect to eating are fine grains is that they contain a high amount of an antinutrient known as phytic acid, which inhibits the absorption of nutrients. So not only are refined grains nutrient deficient themselves, they contain compounds which further inhibit the absorption nutrients, further compounding the problem. A better option here would be choosing whole grains, fruits, and vegetables over refined grains, which will keep your metabolism in check as well as improving other aspects of your health. Any type of sugary drink falls into this category, however many people are finally starting to come around to the idea that sodas and similar drinks are healthy for them. While that is promising news, the idea that fruit juices are healthy is one that continues to persist among the general population. The first and obvious reason why fruit juices on healthy for us while fruits themselves are is that the fruit juices are devoid of fiber. We should all be aware of the damage that’s over consumption of sugar can do to our bodies, a problem which is exacerbated through consumption of these fruit juices. The lack of fiber in fruit juice makes it so that’s the sugars found within these drinks can almost be immediately absorbed into our bloodstream, which causes an immediate spike in our blood sugar levels. What this inevitably results in is an immediate rush of energy which is extremely temporary, followed by your typical energy crash. On top of that we have to consider that your average fruit juice contains as much if not more sugar and your average soda, and both do similar damage to the body. Many of these drinks which are marketed as fruit juices aren’t even 100% fruit, and contain a whole host of other sugar-like additives. If you’re looking for the drink which can satisfy your sugar cravings, you’re best off drinking something like tea, water with lemon, or some other type of drink that consists of water with a slight addition of flavor. Many of us fall victim to snacks which are marketed as healthy alternatives, when in reality this just simply isn’t the case. Many of these “healthy” varieties of snacks contain a whole host of additives including various oils, types of salts, or other additives used to give the snack some extra flavor. The problem is that many of these oils which are added to the snacks mainly consist of omega 6 fatty acids, which aren’t necessarily bad themselves but are bad when consumed in combination with a typical western diet. Too much of an imbalance in between omega 3 fatty acids and omega 6 fatty acids in the body can cause many problems mainly revolving around the cardiovascular system, such as increased risk of heart attack and stroke. Would you want to do here instead is target foods which are high in omega 3 fatty acids, which are going to help satiate your hunger, while being healthy for you at the same time. This means choosing snacks such as pumpkin seeds, sunflower seeds, chia seeds, almonds, walnuts and other similar snacks. 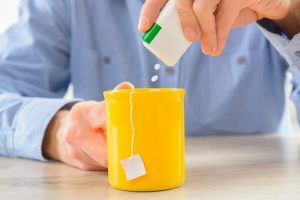 Artificial sweeteners may seem like an excellent substitute in place of sugar and other sweeteners which are high in calories. In theory this makes sense however the problem lies in that these artificial sweeteners also tend to increase our hunger cravings as well. While the swingers themselves are going to cost less calories than their sugar base counterparts, consuming them instead of these other products ends up in a net positive as far as weight gain is concerned. Instead of using artificial sweeteners, your best bet here is to opt for natural stevia. This plant based sweetener contains no calories yet still provides a sweet flavor. This is the low calorie option you’re looking for which won’t negatively affect your metabolism like many of the artificial sweeteners out there.